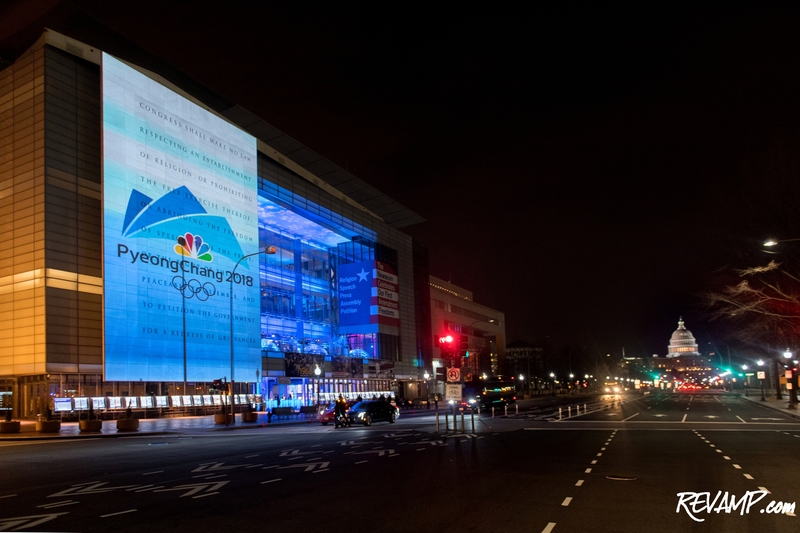 The logo of the PyeongChang Olympics was projected on the outside of the Newseum for the celebration. 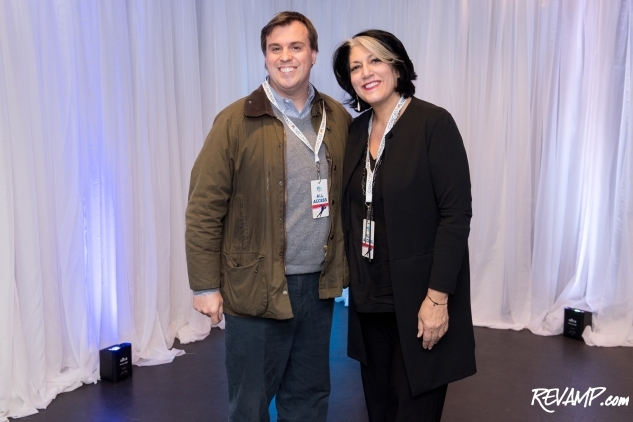 PENN QUARTER -- A lucky group of Washingtonians had the opportunity to cheer-on all of the athletes competing at the 2018 Olympic Winter Games in style on Friday, with Comcast NBCUniversal pulling out all the stops for a festive opening ceremony celebration. 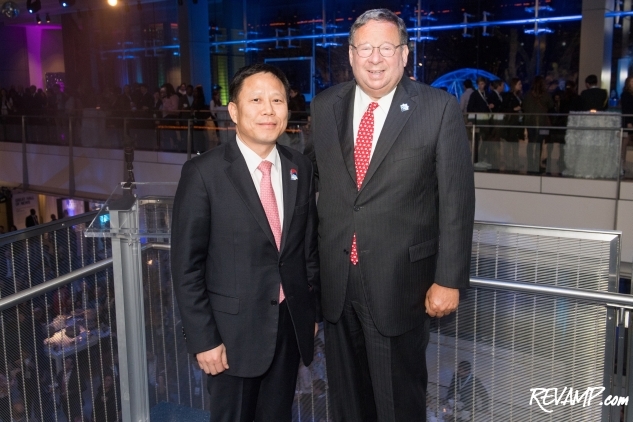 South Korean Minister Lim Woongsoon and Comcast Senior Executive Vice President David Cohen. 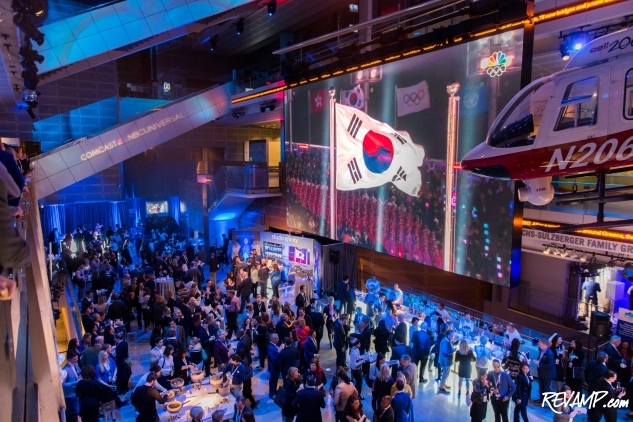 One of the world's leading broadcast and telecommunications companies, the content pioneer had partnered with the Embassy of the Republic of Korea for the occasion, which saw hundreds of cheering revelers flock to the Newseum. 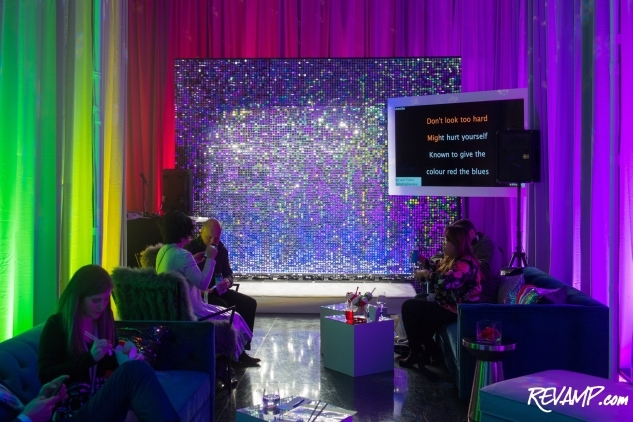 Much as it had in prior years, the nights co-hosts sought to highlight, during the party, a handful of the cultural and festive aspects of both the Olympics and the host country. 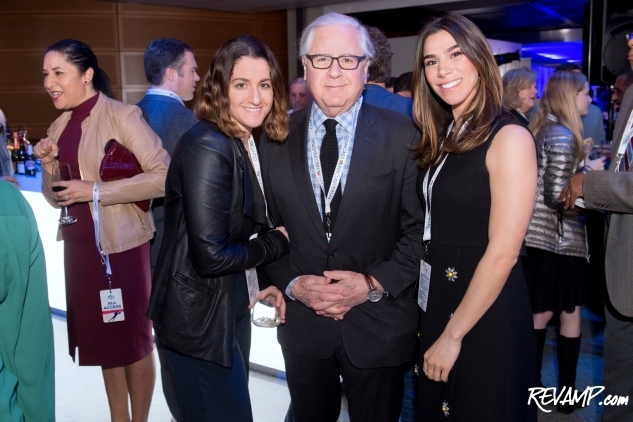 Author Meredith Fineman, NBC News' Howard Fineman, and King & Spalding's Reem Sadik. 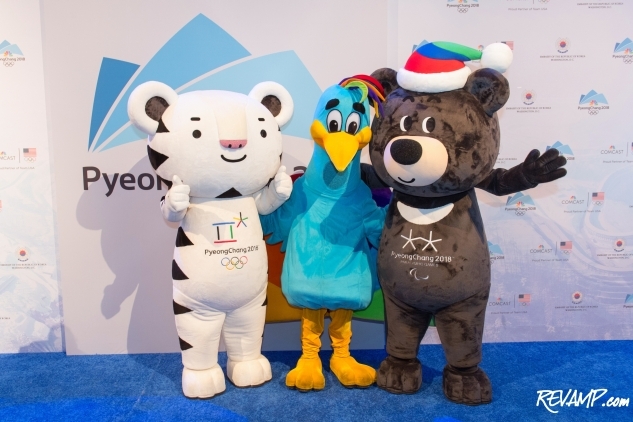 To that end, guests were treated to dance and drum performances throughout the evening, as they mingled with mascots and posed for pictures. 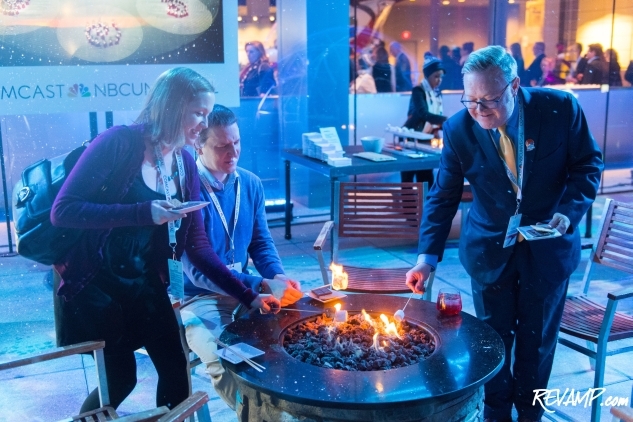 Faux igloos, (real) fire pits for s'mores, and a warm beverage station boasting different types of tea, coffee, and hot chocolate dotted the building's outdoor, second-floor terrace -- all the while snow machines pumped out a steady stream of white "powder" to the crowd below. 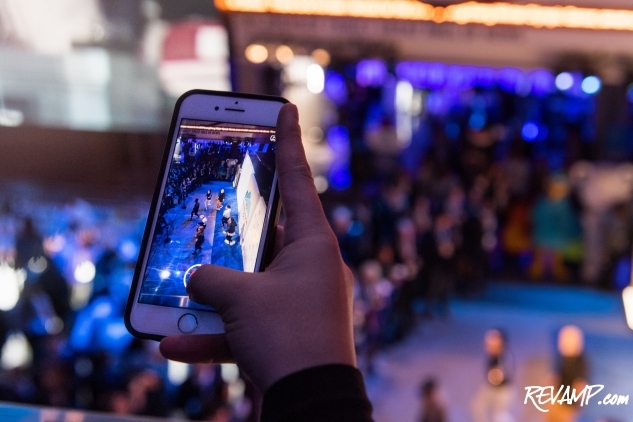 A guest films a dance performance during the party. 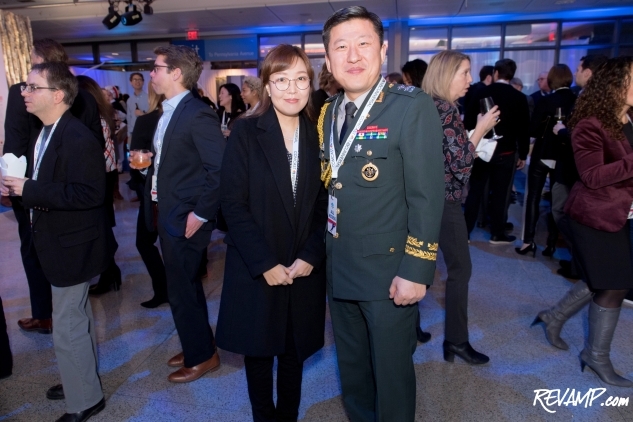 Seungmin Lee and South Korean Assistant Defense Attache Jung, Sung Woo. 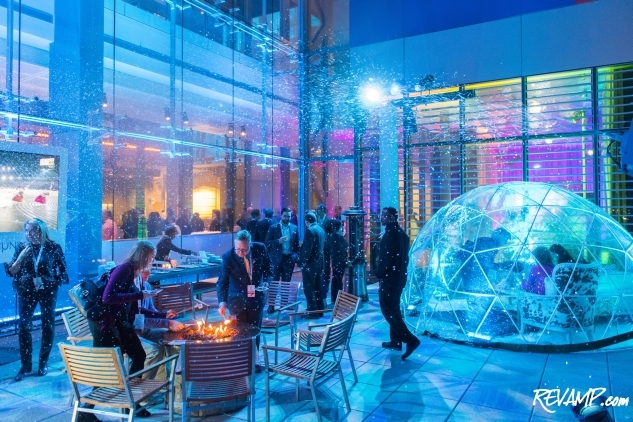 Inside, an ice sculpture performed double-duty as a popular shuffleboard attraction, with a ceiling covered in blue shades of papier-mache providing the illusion of a winter wonderland. 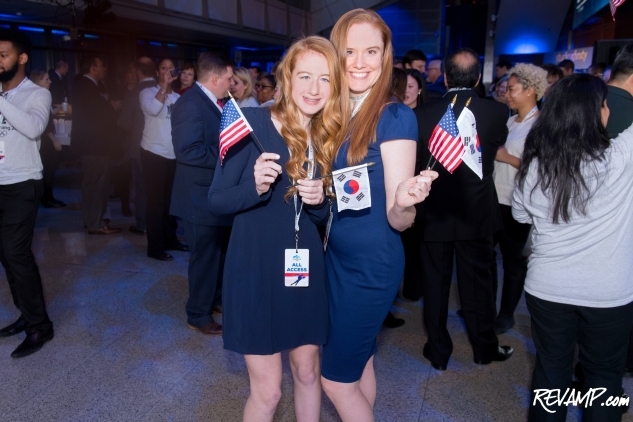 And naturally, American and South Korean flags abounded with attendees all too happy to cheer at the Newseum's gigantic 40-by-22-foot video screen when the respective groups of athletes were displayed walking into the stadium thousands of miles away. 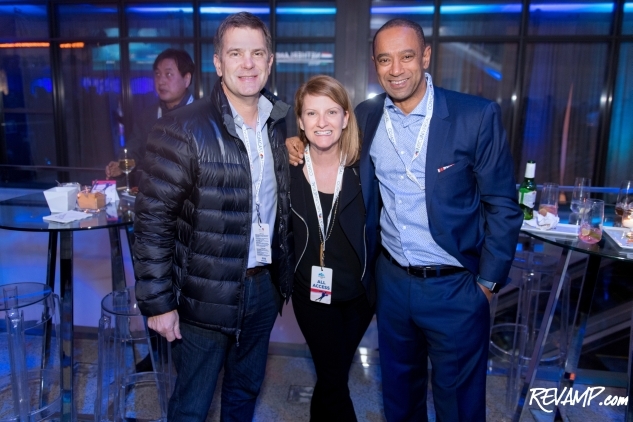 Lobbyist Todd Flournoy, Universal Music Group's Amy Isbell, and Rich Taylor. 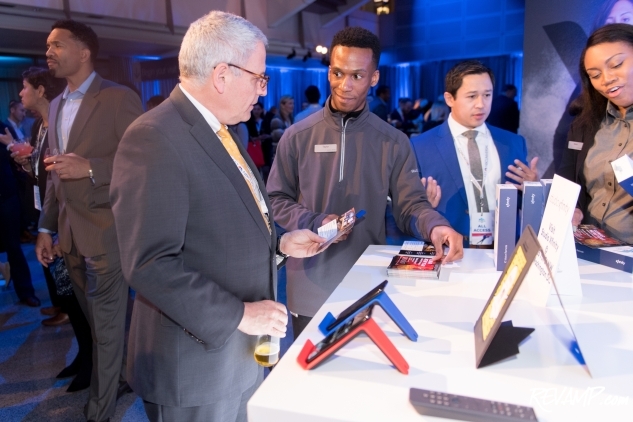 Xfinity representatives demonstrated products to attendees. Comcast naturally boasts a strong D.C. presence, where many of their executives spend time advocating on the Hill for issues affecting a company of such considerable size (~$180 billion). Even more hyper-locally though, the telecom giant touches the lives of a significant portion of the city's residents each day, owing simply to the fact that it's one of Washington's largest providers of TV and Internet service. 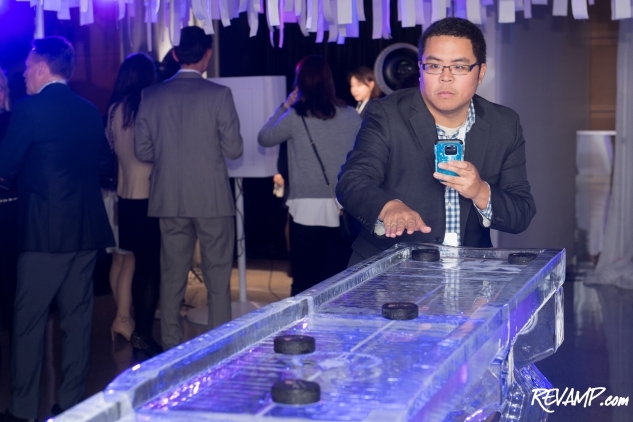 This wasn't lost on the organizers of Friday's celebration and representatives from Comcast's own Xfinity Studio flagship location in Chinatown, just down the street, were also on-hand to provide product demonstrations and talk to guests one-on-one. 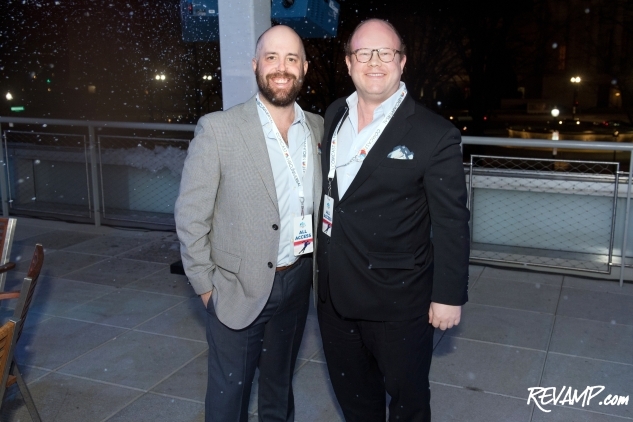 Michael Lynch and Peter Feldman. 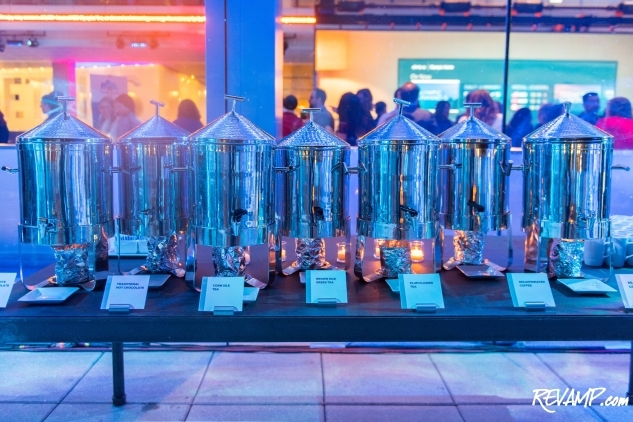 The crowded atrium of the Newseum during the party. Disney's Jessica Moore (right) and daughter Callie Harkins. 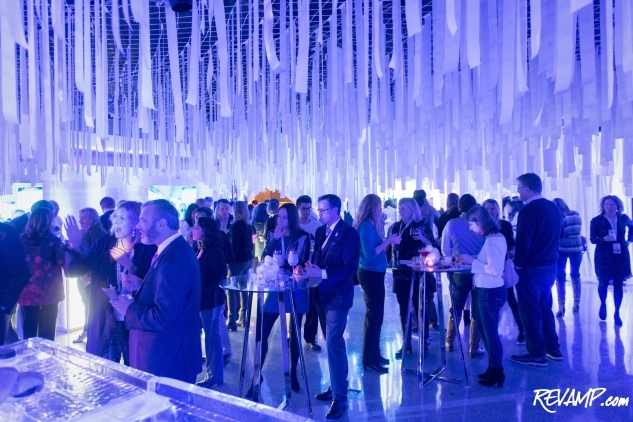 Ultimately though, Friday's party was a celebration of diplomacy and a spirit of international cooperation and unity. Something that everyone looks forward to rooting for every four years, with five interlaced rings serving as a backdrop.